Some baby things stand out more than others on my MUST HAVE list. The Baby Bjorn bouncer is one that fits this. 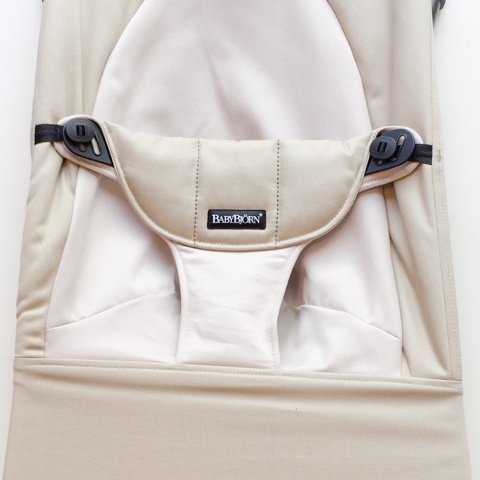 The original reason I purchased the Bjorn bouncer with my last son was because of style. I wanted a bouncer to fit our home decor, something without little characters on it. This fit beautifully into our home. Once Kingsley was born we started to use the bouncer on the lowest recline. It was the perfect cradle for his tiny body and the big boys would gently bounce him. As he started to grow I noticed this was our go to item.... Where baby King was the bouncer followed. We went away on our first trip when Kingsley was a few weeks old and if anyone knows travelling with babies; they take up the most space! Thankfully, the fold flat design allowed us to pack the Bjorn seat. As Kingsley grew we were able to change positions on the seat to being more upright and his own weight and movements started to bounce the chair himself. Cleaning the seat wasn't a problem since the cover slips off like a dream and washes up easily. This was handy since we travelled everywhere with our seat. Literally across USA, Canada, Mexico, Caribbean and even packed this onto a cruise! It made life so much easier having our favourite chair always available. I chose the beige fabric for Apple's bouncer. They do have options like airflow fabric and soft jersey cottons in a variety of colours. 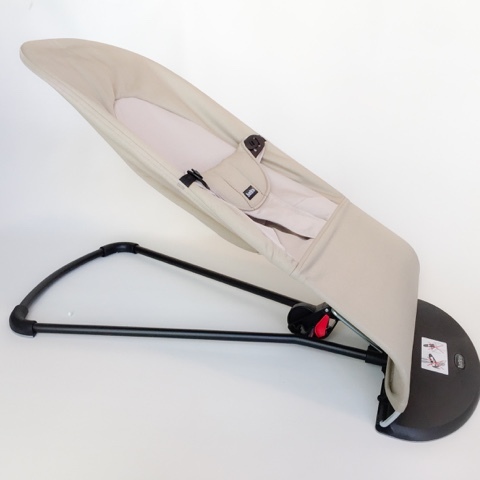 The seat is battery free and once baby starts moving it will move on without the parents help. 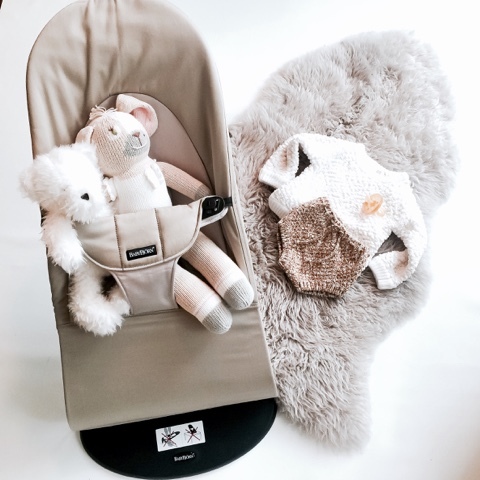 Can be used newborn to two years. Strap to hold baby is soft and wide for baby's comfort. 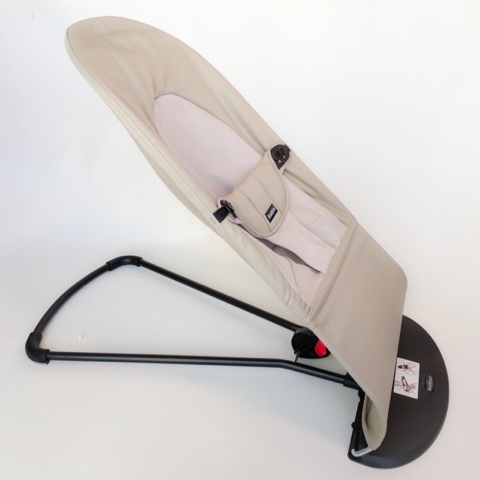 Strap is also easy to work for new parents!